ICS Certification (M) Sdn. Bhd. Formed in the year of 2005 in Malaysia. This organization has been established by a group of professional people using their extensive knowledge of all aspects of the "quality world". Knowledge gained through working as quality managers in industry, lead assessors with other assesment body. ICS is an accredited certification body. This means that ICS is authorised to audit organisations and issue certificates against a variety of management systems (such as ISO 9001, ISO 14001). In the UK, this work is regulated by the United Kingdom Accreditation Service - the sole national accreditation body recognized by government. ICS is an independent, third-party certification body without affiliation to any other company or organisation. It audits a wide range of manufacturing and service organisations, both throughout the UK and across many parts of the world. Founded by Wayne Dudley using their extensive knowledge of all aspects of the 'quality world'. Knowledge gained through working as Quality Managers in industry, Lead Auditors/Managers with other assessment bodies. Today, ICS Registrars employs its own regional auditors throughout the UK and has operations world-wide. The original directors still take a 'hands on' approach to running the business from the head office in England, maintaining their original enthusiasm. ICS roots lie in providing a service which is affordable for small to medium-sized businesses. However, the company's pricing structure and its philosophy of being approachable on any quality matter has resulted in organisations of all sizes choosing to work with ICS. 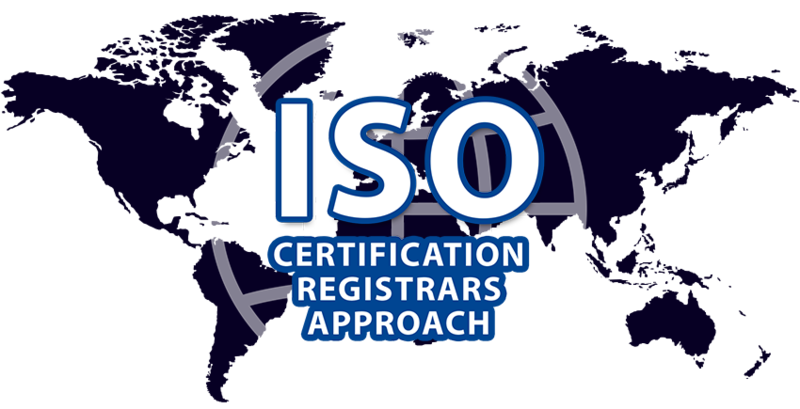 ICS has certified thousands of organisations working to the various ISO standards and the number is growing daily. More and more companies are not only realising the benefits of being a 'quality assured firm', or having an approved management system, but also the benefits of using ICS. Its dislike of bureaucracy and its philosophy of being approachable mean that nearly all ICS's contracts stem from recommendations by management consultants or other registered businesses. This has resulted in the company's considerable and stable growth in recent years. Understanding what it is like to be on the receiving end of the audit process, ICS has developed a professional and systematic approach for companies seeking registration. This involves a stage 1 - Adequacy Audit and a stage 2 – Full Compliance Audit. ICS's audit fees are amongst the lowest in the industry. Expenses are not normally charged for attending companies' premises and a certificate is provided free to organisations achieving the standard. To comply with new accreditation body guidelines, ICS now carries out cost effective assessments. There is no need for audits to be traumatic. ICS's auditors are selected for their ability to work with the representative from the company and to be approachable. They establish that the appropriate management system works for the benefit of the company. Whether it be a query about certification, or an urgent need to achieve registration itself, ICS specialises in providing answers or audits at speed. Friendly help and expert knowledge are always available at the end of a telephone. When selecting staff for a particular audit, ICS will always choose an expert from the industry being audited. This ensures that the audit process takes place in an air of mutual understanding. There is no conflict arising from a lack of knowledge of the challenges faced in running that particular business. The auditor and the company being audited both speak the same language. With the exception of smaller firms, ICS has a policy of visiting companies applying for certification. This enables its documentation (manual and procedures) to be reviewed and provides an opportunity for the company and ICS auditor to discuss any areas of concern before the audit itself.